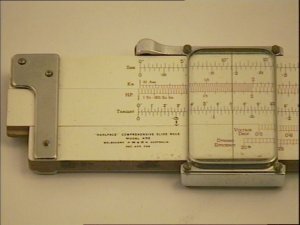 The "Dualface" comprehensive slide rule (Model 432), is a white celluloid covered wooden rule approximately 35 cm in length boasting a metallic framed cursor with thumbwheel for smooth cursor movement. 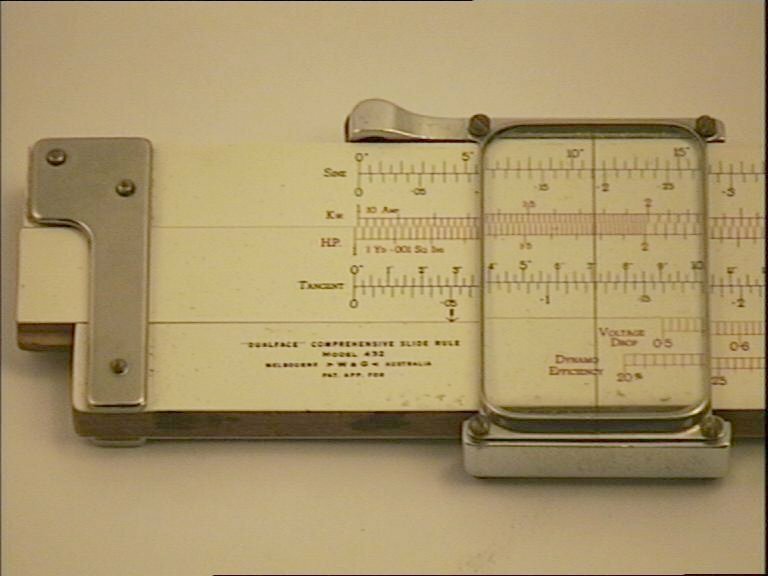 Markings on the rule include sine, kW, hp, tangent, voltage drop, dynamo/motor efficiency, loglog, log and reciprocal, suggesting that the primary function was for use by electrical engineers. The manufacturers were A.E. White and J.D. Gillespie (W&G), an Australian company based in Melbourne. W&G was originally engaged in producing duplicate printing plates since 1910 and only began manufacturing slide rules at the conclusion of World War II (1945), dating this rule from anywhere between 1945 to the 1960's when slide rules were surpassed by electronic calculators. Landis, F., Slide Rule, Microsoft Encarta 96 Encyclopedia, Funk & Wagnalls Corporation.